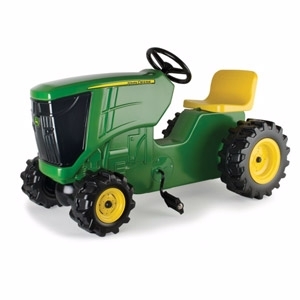 Children appreciate a hard-working machine that can perform a multitude of tasks, and that's just what they get with this plastic pedal tractor. The platform features an adjustable seat and easy-to-reach pedals, and the steering wheel is fully-operational. By Tomy® Manufacturing.